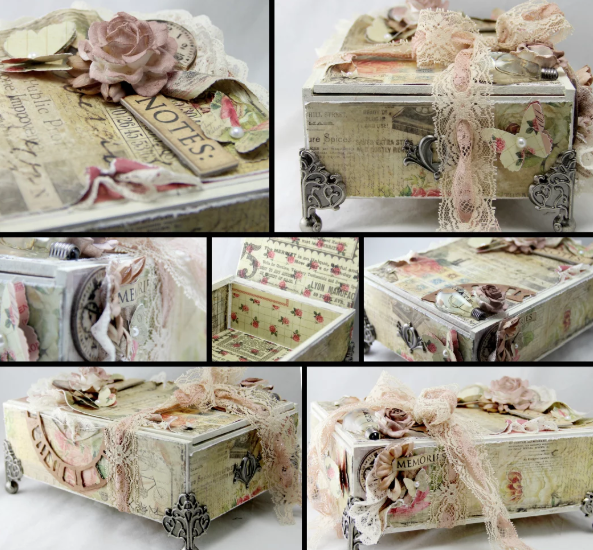 This Month’s Pinterest Party will focus on altering CIGAR BOXES to create a wonderful keeepsake box, storage container, or simply a piece of art. Please give some thought BEFORE coming - to what types of jewelry you have and wish to display. Based on your needs and those ideas... consider bringing odds and ends. Need ideas? frames; broken chains; screens; interesting pieces of wood; wood pieces; boxes or tins with sentimental value; cup screws; random hardware, knobs, or hooks; dowel, metal, or plastic rods; old CDs; candlesticks; foam, batting material, or old foam hair rollers; antique graters or similar metal items with holes; plastic needlepoint canvas. Want to go BIG? Consider bringing an old dart board cabinet, or similar shallow medicine or spice cabinet with doors to make a deluxe wall-mounted jewelry holder! CIGAR BOXES (thank you, @MochaLMT! We have a limited number of cigar boxes, so if you have extras laying around... feel free to bring them! CLOTHING: Because this is a SPACE event, grandmother rules apply outside and we stay clothed inside as well, though we play loose and free with adult language, as always. 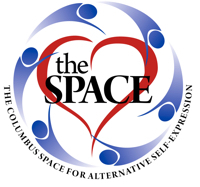 AGE: Attendees must be 19 and over (SPACE EVENT). Absolutely NO children are permitted … not even for a moment.